Now, Passkeeper can help you to remember all passwords securely and smartly! Passkeeper supports 4 platforms now: PC browser, Android Mobile Phone, iPhone and Web Client. The password data can sync to the Cloud and be used on different platforms. Moreover, Passkeeper allows people to add and edit "Accounts" and "Private Notes" information. Those features can meet all demands of your daily records. Meanwhile, Passkeeper has improved previous "Magic Fill" function. 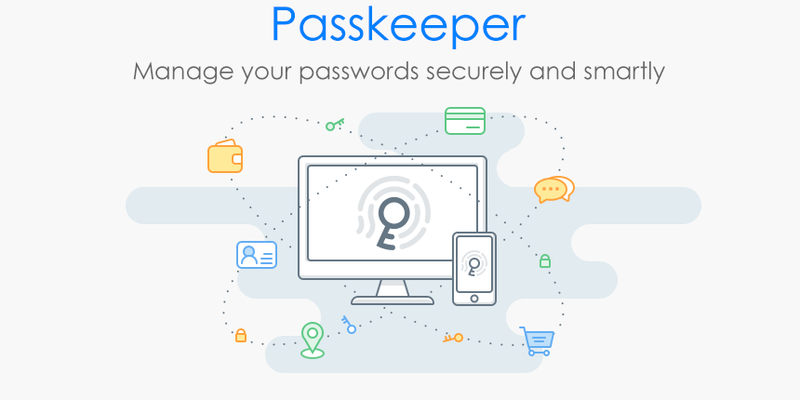 Passkeeper can auto-save your login information to be convenient for your next login. This function can be used in combination with new "Password Generator" to convenient for your register and login on various websites. "Password Generator" can help you auto- generate complicated random passwords, when you register on a website. From now on, you won't to worry that your passwords will be cracked anymore.